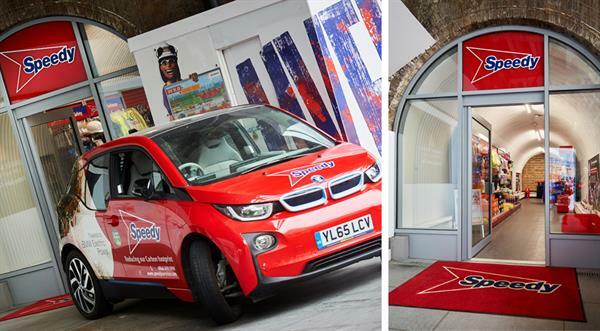 Speedy, the UK's leading tools, equipment and plant hire services company, has opened an on-site hire centre and retail unit at London’s South Bank in partnership with Canary Wharf Contractors Ltd. 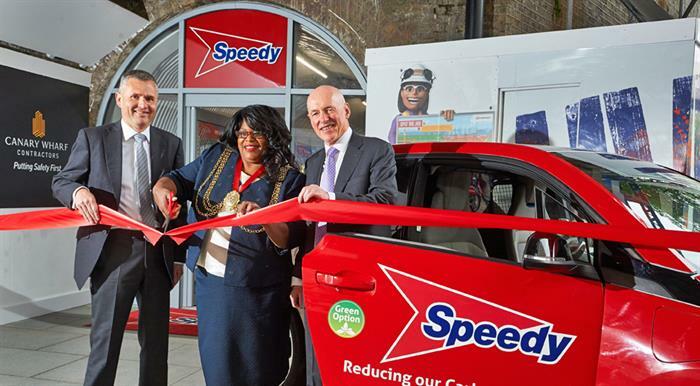 Speedy are working collaboratively with Canary Wharf Contractors Ltd to reduce vehicle movements, improve efficiencies and contribute to the wellbeing of the local community. With no existing local hire provision, contractors have to execute multiple orders from a range of sources with these resulting in unnecessary vehicle movements to sites. Speedy’s new outlet will consolidate individual orders and deliver these from its Central London Superstore at scheduled slots. Once delivered to the outlet, small items can be collected by contractors on foot. All small deliveries and many larger deliveries will be carried out using Speedy’s electric-powered zero-emission vehicles benefiting air quality in the area. Housed in what was a disused railway arch on Sutton Walk, the new Speedy centre is linked to the £1.5 billion Southbank Place development, a joint venture by Canary Wharf Group and Qatari Diar, which is currently under construction by Canary Wharf Contractors Ltd. It will also be open for use by members of the public and contractors on other adjacent construction Projects. “There are around 20 major developments in the area and hire provision is limited in the immediate vicinity. In agreement with Canary Wharf Contractors Ltd, a rebate on hire charges will be set aside and distributed to a number of local charities. These include the Lighthouse Club which provides support to the families of construction workers who have suffered injuries or illness. The new depot will operate from 7am to 4pm Monday to Friday and will be managed by long-term Speedy employee, Tony Scott. The store opened for business on May 15, 2017.